Realistic vector illustration of a fresh ripe apple. Shiny surface of the bitten fruit, big leaves on top. Pattern with small spots on the realistic apple skin. Free vector illustration to use in all your food, eating, healthy lifestyle, dieting and keeping fit design projects. 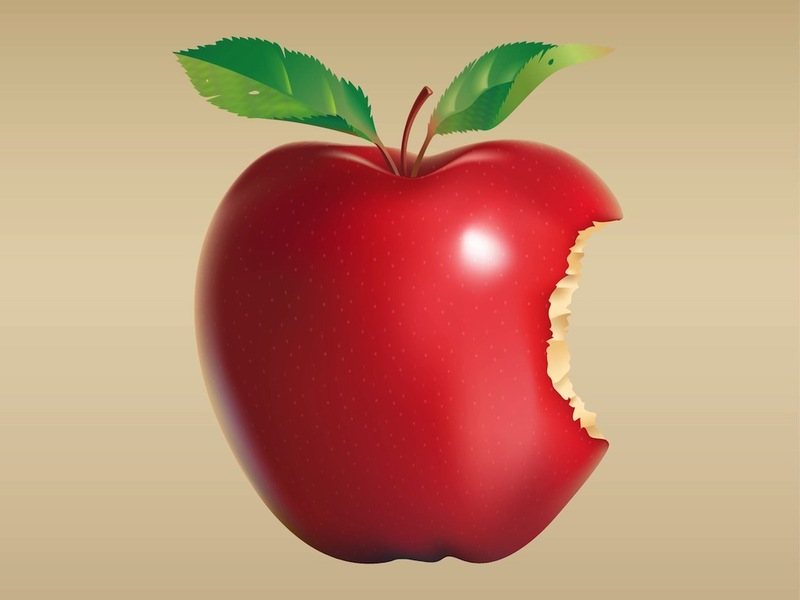 Download realistic apple image for logos and stickers. Tags: Apple Vector, Bitten, Detailed, Fresh, Fruit, Healthy, Leaves, Realistic.